Maddie - raced under the name "La Cheryl." Now eventing under the name "Only Prettier." 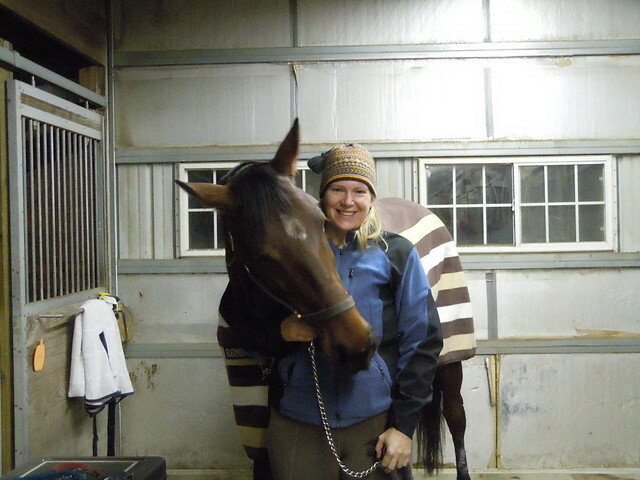 I’m a better rider and horsewoman for my time with Maddie, from whom I learned important lessons about horse training and behavior, and on whom I rode my first “real” dressage movements. I also learned the importance of fit between horse and rider. Mads was a bit too much for me to handle. 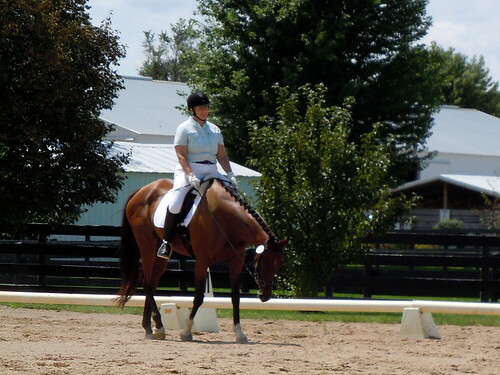 In early 2011, she found a new home with a young woman who’s an event rider. I was thrilled to bits when Heather debuted Maddie (now showing under the name “Only Prettier”) at a rated show at Silverwood in June 2011 – and they won! Bold, brave Heather is the perfect rider for Mads. 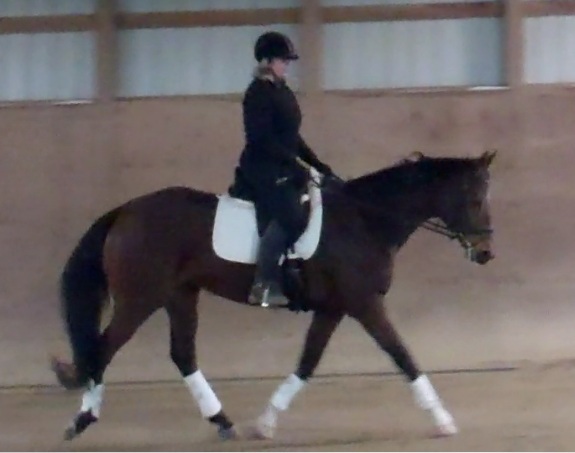 Mads is one of those horses who needs a leader, and will readily follow once respect is established. I struggled with her when I started riding her, because I neglected to gain her respect. She’s not a plodder you can just do anything with. She’s a mare, she takes some convincing now and then, and she won’t have anything to do with you if she doesn’t deem you worthy. I spent a lot of time out of my comfort zone with her, but I was eventually able to earn her respect, and we formed a decent partnership. She really wants to be a good girl, and she really likes her humans. She has taught me a lot, and she keeps me continually on my toes. 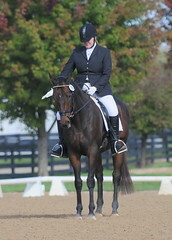 Successes with her, like this simple little stretch in the show ring – are earned, and I appreciate them. As you can see from my idiotic grin. But how can you blame me? It was our first show! We still had issues to work out, but she was able to relax for me. Good mare! More pictures and videos of Maddie – and footage of her first jumps are on the Fancy Filly! post. Hi Priscilla – Congratulations! She’s a really nice mare, as you can see from all my posts and pictures. Please feel free to send me an email at sarahskerik@gmail.com. I am in a really busy stretch for work, however, so it may take a day or two for me to respond. Congrats on getting Maddie! I also used to own Maddie, and I have known her since she was 6 or 7. If you have any other questions, I’d be happy to help! I also still have her sheet which you can have if you want it. My email is scianna2@gmail.com.